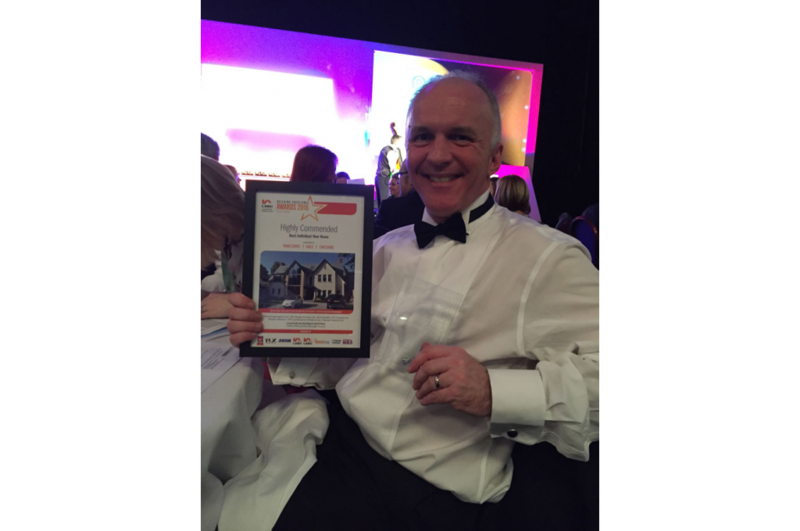 We were presented with the highly sought-after accolade at an exclusive Gala ceremony on Friday 15th April for our entry in the “Best Individual New Home” category, and were up against fifteen others contenders, including national architect firms. 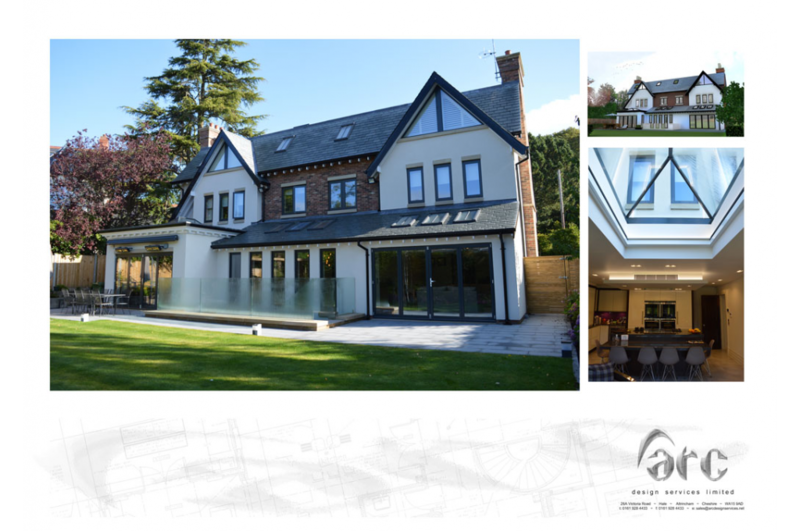 Arc Design Services was selected as a finalist after we impressed judges with our unique, innovative and eco-friendly design for a residential property located in Hale, Cheshire, which in effect has now been recognised as one of the best designed houses in the North West region. Our design comprised a combination of modern architectural techniques, which showcased the latest in ground-breaking construction materials to overcome a number of construction challenges. 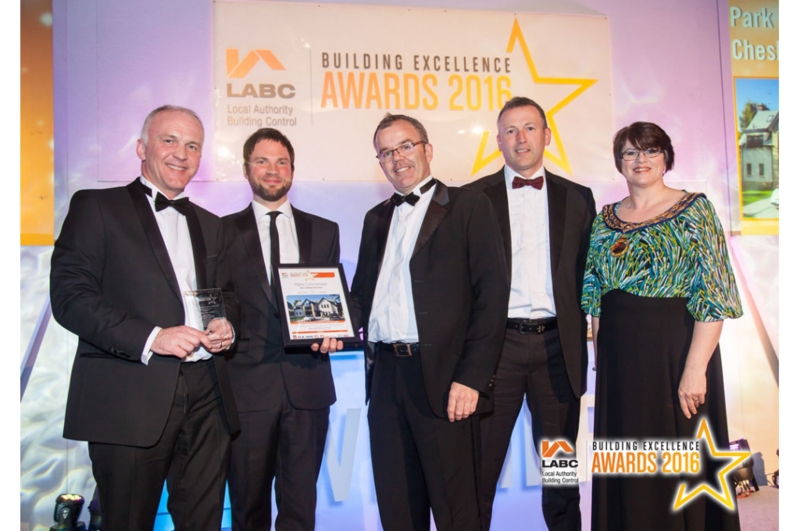 In order to be shortlisted, we had to demonstrate what the LABC (Local Authority Building Control) Building Excellence Awards refer to as the “X Factor” - which we proudly demonstrated! 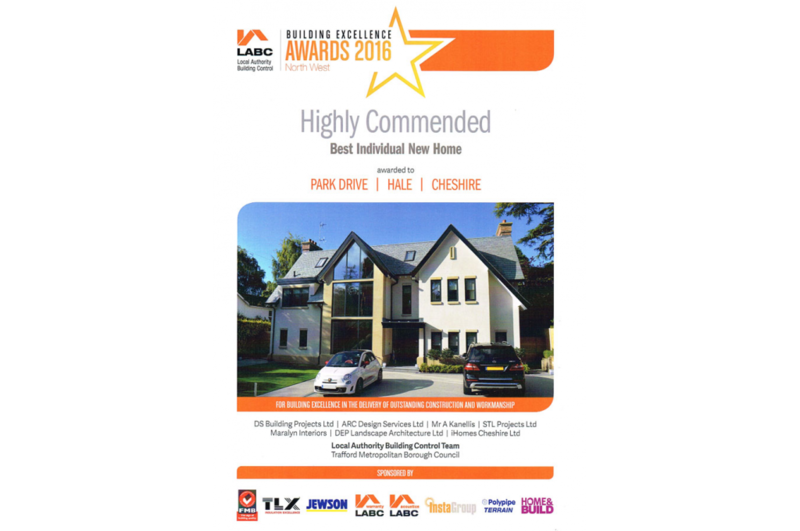 Our “highly commended” entry was an innovative large five bedroom family home, spanning over four floors to give over 5000 sq ft of accommodation. 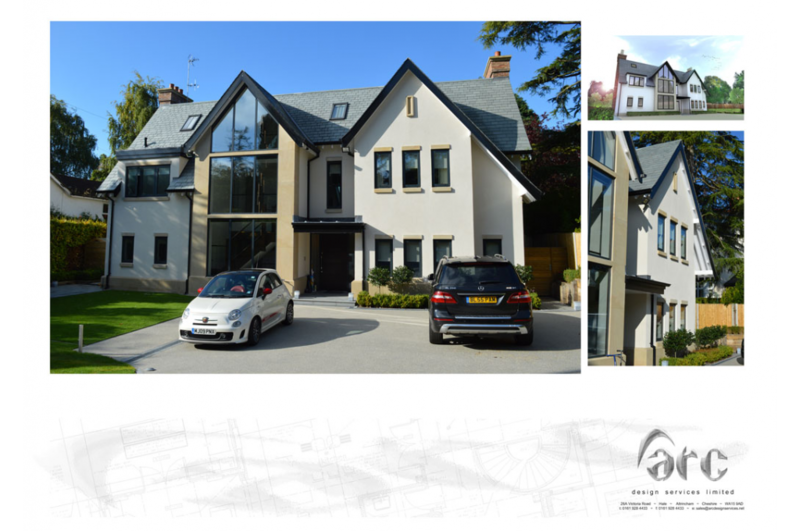 Our property was constructed utilising a revolutionary and eco-friendly Insulated Concrete Formwork (ICF) technique, and showcases creative features such as a space-saving car lift. Progressive energy-saving solutions, like a whole house ventilation system, have been integrated too, whilst our property also boasts a stunning, luxurious ambience. 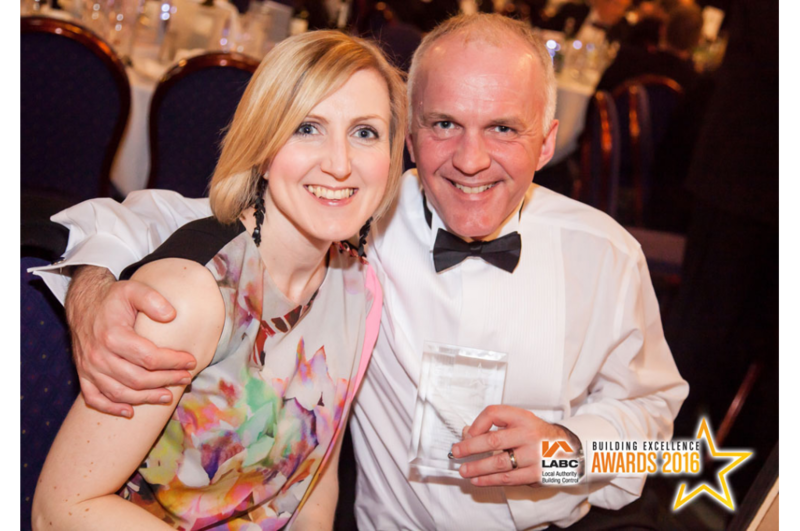 Jonathan Riddle, Director at Arc Design Services, comments, “To be highly commended by the LABC Building Excellence Awards is a huge honour that I’m extremely proud of. 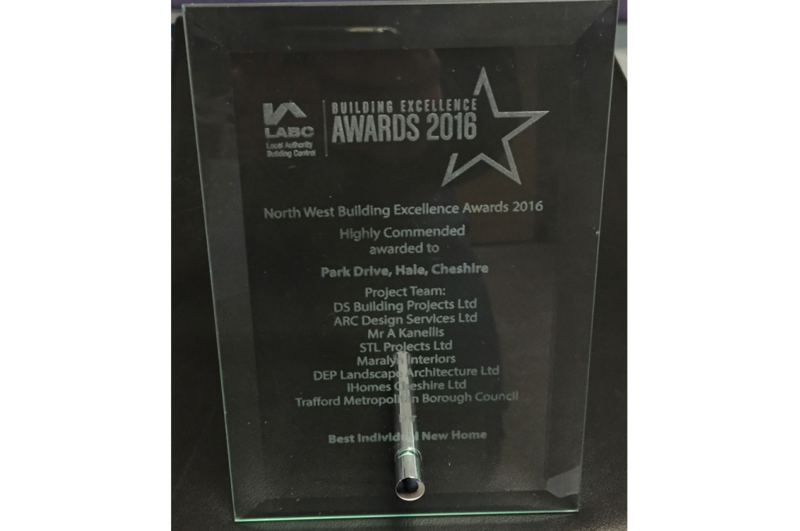 This was a team effort and I’d like to thank all of the team members for their contribution and professionalism”. Jonathan continues, “As a small firm we pride ourselves on our individual and bespoke approach. Being hand-selected for our credentials by such a prestigious and respected organisation is testament to unique and forward-thinking designs that are both technically and creatively innovative. I’m thrilled with what we have achieved as a team”. To deliver in timely manner and cost-effectively, our whole team worked together closely. The team comprised Simon Kennedy from DS Building Projects Ltd (builder), Neil Gornall from iHomes Cheshire Ltd (AV, lighting and Home automation), Maralyn Sukert from Maralyn Interiors (Interior Designer), Jonathan Hayes from STL Projects Ltd (structural engineer) and Rory McVean from DEP Landscape Architecture Ltd (landscape architect). 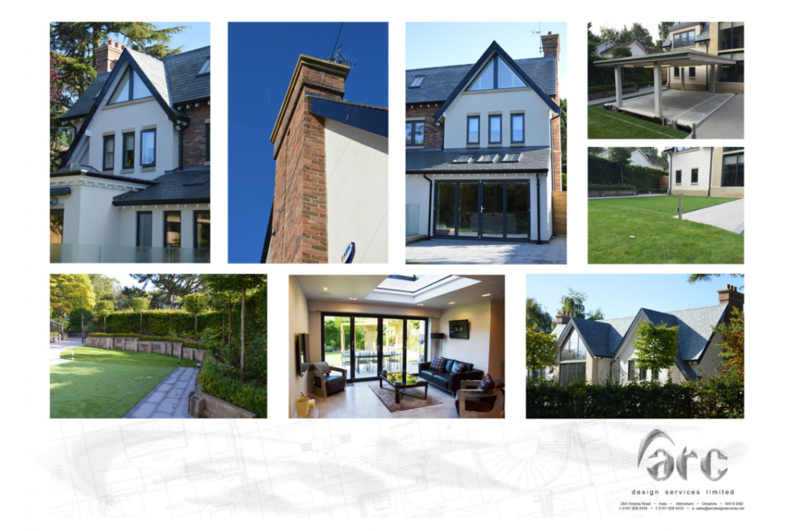 The LABC (Local Authority Building Control) Building Excellence Awards are a celebration of exceptional accomplishment in the construction industry, and exist to reward outstanding craftsmanship, technical innovation, sustainability and high performance properties - such as that demonstrated by our entry.